Pistachio&pickle is the accumulation of our (I mean Steve & Matt's) ideas and gastronomic journey. For years we have held dinner parties, cocktail parties, BBQ's, afternoon tea's and the like and opened up our house and small garden to friends and family and fed them all! Most occasions have had a theme, or concept - this is usually due to Steve's architectural background - and ties the food together. So we decided to spread our foodie love a little further and start a supper club. We were noted by the Evening Standard as one of the Top Ten in London, so began to look for a permanent home for Pistatchio & pickle. Tucked away in Barnsbury, Islington, we've created a deli so rich in community spirit, it feels like family. 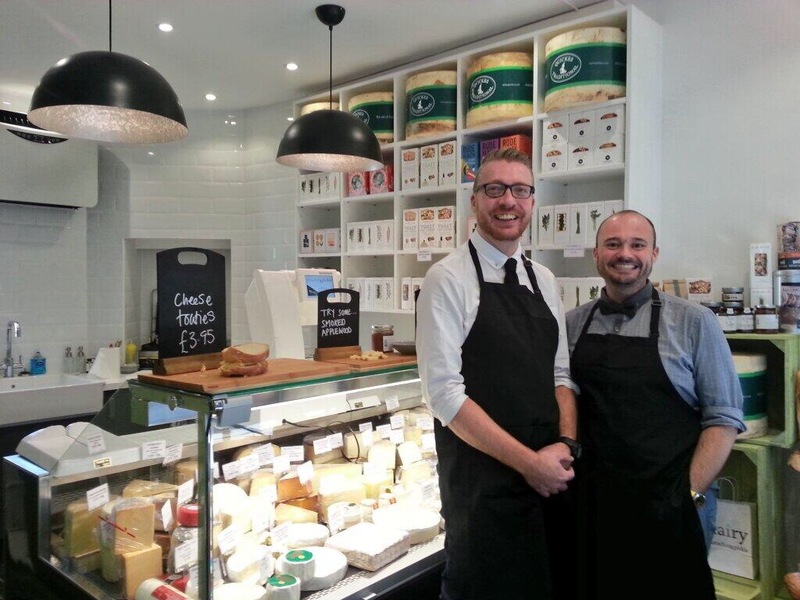 Our second shop, the Dairy is Matt's dream come true - an artisan cheese shop, sells the best of British dairy on the amazing Camden Passage. Steve is one half of pistachio&pickle though you can decide which, he is a borne and bred east ender and trained and worked for many years as an Architect. Steve has built many buildings including offices, schools, retail shops and restaurants but is now building his own foodie venture. Steve cooks wholesome traditional meals like rich stew and dumpling, a mean shepherd pie or hearty soups but is now enjoying making pasta, pastry and biscuits. Matt is the other half of pistachio&pickle and has an amazing background organising wine tastings and catering events and decided to try it for himself. Originally from Essex, Matt trained in a professional kitchen and completely understands good quality food and ingredients. Matt's pretty well known in the wine industry, having worked at the WSET, Institute of Masters of Wine, briefly at the Drinks Business Magazine before being the events manager at Bibendum. Here he organised its wine events including the mammoth Annual tasting where 2000 wines were showcased at the Saatchi gallery in Chelsea. Matt's love of food and wine comes hand in hand and he's aways searching for the best Espresso Martini and burger. 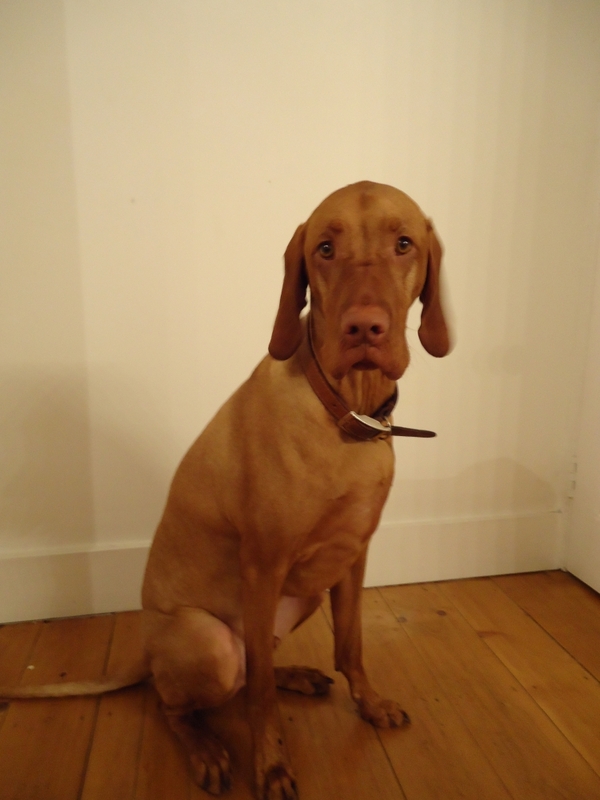 Cooper is our Hungarian Visla. He loves cuddles and running in long grass and is always looking for someone to share his toys with. He's the real star of pistachio&pickle!